You are here: Home / Uncategorized / Is This A Joint Criminal Enterprise and Muslim Aggression Against Bosnia and Herzegovina? We have seen it over and over again: ICTY Prosecution is more than capable of building a case on shaky grounds for the so-called joint criminal enterprise against a group of people from one ethnic group (as this blog is about Croatia and Croats I’ll stick to that ethnic group) and bringing that criminal charge to trial. In the last year we have seen the ICTY Appeal Chamber acquit Croatian Generals Ante Gotovina and Mladen Markac (as well as Croatian leadership headed by Franjo Tudjman) of joint criminal enterprise plan and execution against Serbs in Croatia. In the last fortnight we have witnessed the ICTY Trial Chamber convict 6 Croats from Herceg-Bosna (as well as the 1990’s Croatian leadership headed by Franjo Tudjman) of joint criminal enterprise against Muslims. The ICTY prosecutors premise (malicious and dangerous delusion, if you ask me!) is that Croatia wanted to expand its territory into Bosnia and Herzegovina and by offering its military support to help Bosnian Croats who were victims of Serb and Muslim led crimes, Croatia became an aggressor against Bosnia and Herzegovina. So, I ask myself: why has the ICTY prosecution not used the same logic with the fact that Bosnian Muslims brought into Bosnia and Herzegovina foreign jihadists, Al Qaeda operatives, mujahedins and therefore planned and executed a joint criminal enterprise – aggression within its own country. ICTY prosecutor used the country or citizenship origins of fighters in Bosnia and Herzegovina during the 1992 – 1995 war as a measure of aggression against the state of Bosnia and Herzegovina, so if a soldier belonged to a unit of say army from Croatia that went into Bosnia to assist Bosnian Croats who were defending their lives, then that unit is an aggressor against Bosnia and Herzegovina, according to the ICTY, as things stand at this moment in time! But, bringing soldiers/killers from foreign countries specifically to train and fight with the Muslim controlled Army of Bosnia and Herzegovina is not aggression, according to ICTY prosecutor! Oh, please – give humanity and its intelligence a break! ICTY has had a handful of cases for war crimes committed through lines of command or responsibility by senior persons of Muslim controlled Army of Bosnia and Herzegovina – but none of these (as far as I can see) had the joint criminal enterprise element spelled out, even though it is as clear as day that Muslim leadership of Bosnia and Herzegovina, headed by Alija Izetbegovic, did not bring the mujahedins into his army for a nice vacation! The idea of pointing a finger against Alija Izetbegovic for planning and executing criminal enterprise against non-Muslim people of Bosnia and Herzegovina seems to have fizzled away in some political cloud that hovers above Britain and the United States of America, who it seems, played a double game: condemned jihadists and Al Qaeda on the one hand, but assisted or turned a blind eye to Alija Izetbegovic importing mujahedins to train his soldiers in murder and to murder for “his” Bosnia and Herzegovina, which decided mid-stream (because up till then Muslims and Croats were allies in defending territory and lives against Serb aggression in Bosnia and Herzegovina), “suddenly”, to fight against Bosnian Croats in 1993. And what a vicious fight or conflict it turned out to be. The ICTY Trial Chamber has not yet published the full judgment in the case against 6 Croats of Herceg-Bosna even though the summary of judgment was published over a week ago (29 May). Extraordinary! That being the case it’s difficult to comment on the issue of Croat-Muslim conflict as seen by the Trial Chamber through the eyes of the so-called 6 Croats of Herceg-Bosna case, but the disturbing public confession of a mujahedin Ali Hamad a couple of days ago upon being threatened of expulsion from Bosnia and Herzegovina and actively seeking asylum in Serbia, is opening more and more eyes worldwide to the fact how this aspect of Bosnian Muslim army during 1990’s war has largely been overlooked from the standpoint of international aggression. All it seems knew of it, but somehow, the Bosnian Muslims’ import of foreign jihadist forces has evaded, it seems, the theorists of and prosecutors for “joint criminal enterprise”! Dnevno.hr reports that, according to press online, an officer of Al Qaida, Ali Hamad, citizen of Bahrain, who has this week asked for asylum from Serbia after he completes serving his 12 year prison sentence in Bosnia and Herzegovina for 1997 bombing of Mostar, has admitted to having personally during the war in Bosnia and Herzegovina, participated in horrible crimes by the “El Mujahedin” unit against Croats. His admission comes out of his remorse, her reportedly stated. The Croat – Muslim conflict in Bosnia and Herzegovina has largely been depicted in the international media (as well as the ICTY) as an attack on Bosnian Muslims. Mujahedins from North Africa, Middle East, Pakistan, Afghanistan … started arriving in Bosnia and Herzegovina at the beginning of the war in Bosnia and Herzegovina, at the invitation and plan of the Muslim president of Bosnia and Herzegovina, Alija Izetbegovic. They arrived in the territory of Central Bosnia first, the areas of Bosnia and Herzegovina populated mainly by Bosnian Muslims and Bosnian Croats. Mujahedins then started accumulating followers there and set up military training camps in the villages near Zenica, Travnik, Bugojno… They support and fight with the Bosnian Muslim forces, whose existence was threatened at that time and who were victims of the Serb occupation in Bosnia and Herzegovina. 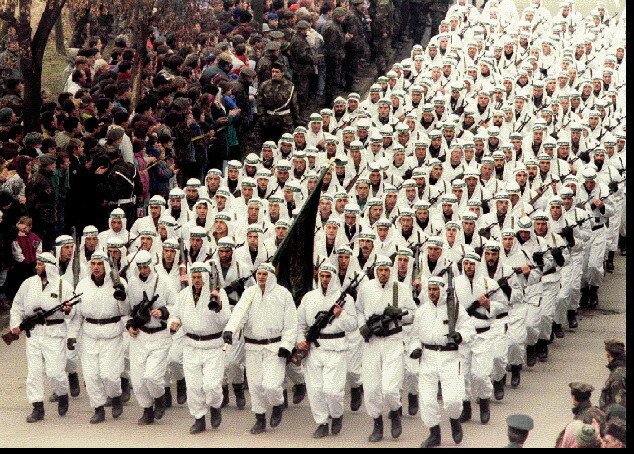 But the real goal of the mujahedins coming to Bosnia and Herzegovina was far beyond training or humanitarian tasks. Mujahedins shared beliefs with their fellow Muslims of Bosnia and Herzegovina – to come to the aid of “oppressed” Muslims and use the opportunity to strike at “infidels”! Create a Muslim state in Bosnia and Herzegovina. Does did look like planned aggression to you!? Does this look like true joint criminal enterprise planned by Alija Izetbegovic, Muslim leader in Bosnia and Herzegovina at the time, and executed? It’s known that the British battalion, within the UN peace mission there, arrived in Central Bosnia at the same time as first mujahedins. Only a few months after the British arrived a merciless conflict between Croats and Muslims erupted in the area. Incidentally or not, recruiters of mujahedins for the Army of Bosnia and Heerzegovina also came from Britain; British citizens… Mujahedins take part in military operations of the Army of Bosnia and Herzegovina (Muslim). They commit untold atrocities against the Croatian population, using their well known brutal signatures – blood letting, destroying peoples’ faces, heart extraction, beheading. The Islamist, jihadist connections of the Izetbegovic government are one of the most overlooked – or deliberately ignored – facts of the Bosnian War. It certainly continues to be so, unless the full judgment from ICTY Trial Chamber against 6 Croats of Herceg-Bosna actually opens new windows for justice, instead of playing politics and collective guilt. Ali Hamad was a witness for the prosecution before the ICTY Trial against the commander of the Main Staff of the Army of Bosnia and Herzegovina Bosniak General Rasim Delic, and Hamad’s testimony went largely undisputed and he said that authorities all knew about the crimes of mujahedin and their connections with the Bosniak (Muslim) politicians and officers. Ali Hamad kaže da sada sve priznaje zbog ‘grižnje savjesti’, i da za sebe ne traži nikakve privilegije. Srpsko Tužilaštvo za ratne zločine predložilo je Vladi Srbije da Ali Hamadu omogući dolazak u Srbiju i svjedočenje nakon što je u BiH ‘odležao’ 12 godina u zatvoru. Oficir Al Qaide Ali Hamad, državljanin Bahreina, koji je ovog tjedna zatražio azil u Srbiji poslije odležane 12-godišnje zatvorske kazne u BiH, priznao je da je osobno za vrijeme rata u BiH sudjelovao u stravičnim zločinima odreda ‘El Mudžahedin’ nad Hrvatima. – Najveći broj ubojstava izvršio je Egipćanin Abu Mina, oficir zadužen za sigurnost i specijalne zadatke. Mina je ljude ubijao motornom pilom i velikim nožem. On je ubijao zarobljenike u Zavidovićima. Pred postrojenim mudžahedinima on im je sjekao glave sjekirom i naređivao nam da nabijamo zarobljenike na kolac i da ih ostavljamo da umru u najgorim mukama. Ali Hamad says that he admits to everything because of his “remorse”, and that he asks for no privileges for himself. Serbia’s Prosecutor for war crimes has proposed to the government of Serbia that it enables Ali Hamid’s arrival to Serbia and his testimony after he completes his 12 year prison sentence in Bosnia and Herzegovina. An officer of Al Qaida, Ali Hamad, citizen of Bahrain, who has this week asked for asylum from Serbia after he has served a 12 year prison sentence in Bosnia and Herzegovina, has admitted to having personally during the war in Bosnia and Herzegovina, participated in horrible crimes by the “El Mujahedin” unit against Croats. –	The Egyptian Abu Mina, an officer assigned to security and special tasks, executed the greatest number of murders. Mina murdered people with a chainsaw and a large knife. He murdered prisoners at Zavidovici. He cut their heads off with an axe in front of standing mujahedins, and ordered us to impale the prisoners on stakes and leave them to die in terrible suffering. Nice text,If you mentioned all of them came to croatia first ,then moved to bosnia would make it much better..I hope Tudman didt believe they were going to bosnia on vacation.,Also there is expiration date on prosecution of war crimes,think its 20 years but im not really sure.I know Atif Dudakovic cant be prosecuted for war crimes becouse of that expiration date,We may be little to late ,even ICTY is not interested anymore.So those muslims are free man thanks to somebody or something,The difference between them and hv is ,croat volunteers brought there tanks,and heavy weapons while those muslims came with bare hands and it may be a reason why so many people specially USA and England think they have been volunteers.but you cant ever be sure I was told that Madaline Allbright kind a promised all of this to Tudman and Milosevic for there sneaky involvement. No you have it wrong,The truth is that even Dodik said they cant prosecute Dudakovic and many others becouse of statue of limitations.It sounds you hate the players not the game,Halilovic,Delic,Divjak,Oric happened to be in haage even Ganic was arrested,now Where was Ina Vukic ,Croatia or Croatian people is a big q.You like it or not its all over,And to be brutally honest i have no idea why you did not go after them you didt provide evidence you may have,We pretty much gave them to you and you gave them back and now you are on complaining mission,Well i think if you call haage they may tell you its all over when it comes to above mentioned people.Statue of Limitations apply to all of us,Bosnian case is all over as i have said to one of you the war was fought after the real war and i guess you slept over .After the crimes in stupni do Ivica Rajic went and changed his name to Viktor Andric and Praljak advised him to do so to keep his position while we started prosecuting and sending people to Haage,On the other hand you had yours on the run like Tuti ,Blaskic,Gotovina etc and now when its all over you hate players not the game.When Delic,Halilovic,and many others went to Haage i didnot cry believe me or not to me its about country,peope not Halilovic who is not even bosnian.Now if you would listen to me you would get a man you hate the most Mesic,send him to bosnia to smooth things out ,only he can do it ,he is very popular in bosnian comunity. Just a couple of words Amir Pilipovic – it’s not the case of hating or liking people; it’s the case of hating or liking their deeds and it is the deeds that go on trial and not the people, the people are in court because they committed a criminal deed. Oh boy have you got it wrong – it may be over on your wishlist but the reality is that even when ICTY ceases operations courts will still exists and criminal deeds will be pursued as far as justice is concerned. Where was I, you ask, observing and reacting to the due process authorities mount or do not mount. Just as ICTY came to be, human nature is such that nothing is impossible to achieve when one wants justice for victims, given time new bodies and authorities arise. Oh by the way, years ago when researchers from ICTY (there were several) came to Australia to investigate crimes in the Balkans I did put my bit in to them… it’s all on file – mine like everybody else’s who had courage to provide information, statements etc. It’s nowhere near finished – just look at what’s happening in Bosnia and Herzegovina today: one cannot even register the birth of a child because the government with all its ethnic wings cannot agree what and how to allocated the citizenship number to the newborn. Just awful. It’s not over at all, not by a long shot. So, where did you get your Muslim PINK GLASSES, Amir Pilipovic? Are you missing it already. Very moral argument Amir – can’t prosecute the ABiH, mujahadeen and Alija Izetbegovic cabinet members who planned, oversaw and executed the genocidal aggression against Croats of Central Bosnia, North Herzegovina and East Mostar, and the ethnic cleansing and barring from returning 170,000 Croats from those areas, because of a statute of limitations. Are we to guess that you are a REKOM petition signer as well? Pretty much ,Its not becouse they didt do crimes but becouse somebody in cro has missed the train or slept over,I will repeat to you one more time Halilovic,Delic,Divjak(generals of ABiH)have been in Haage,Ejub Ganic was arrested in England,Now what im trying to tell you is very simple and easy to understand.If you had a case,proof of any nature,vs them Why didt you provide it to prosecutors.ICTY will not retry them you like it or not all you can do today is pretty much do what you do the best which is complaining.Now if you say to yourself we croats have messed this up.we lost you will be able to make your best next move,ICTY said to Gotovina,Markac and to all of us FRANJO TUDMAN AND GOJKO SUSAK ARE (READ CROATIA)RESPONSIBLE FOR ALL THE CRIMES,, and i guess you threw big party in name of it didnot appeal.ICTY actually has said it 5 times.and now all the sudden croats are outraged,One must ask where the hell have you been so long. Just picked up on Amir Pilipovic’s reply here. Amir, it is clear to all here that you would like the world to move on and bypass the crimes of Bosnian Muslims and you have the hide to ask where have Croats been before, why haven’t they come forward about mujahedins and Bosnian Muslim crimes. For God’s sake man (for Allah’s sake too) all the evidence has been put to the ICTY and for years we have read about what you call “complaints” – it’s not complaining to anyone except perhaps you and those who think like you, it is expressing one’s analysis, comments, opinion, conclusions, surely you have come far away from communist Yugoslavia to see the value of that. You seem very angry with the fact that the inadequately dealt with matter of Bosnian Muslim crimes won’t go away – it won’t go away perhaps because in many cases justice is slow…but it does come. There is more than one way to skin a cat, ICTY is only one of them. Well my friend Its not Amir would like,wouldt like its simply about the truth,facts,Haage dosent try anybody twise and local courts don’t try people Haage did which means your best shot was when Halilovic,Delic and rest of them happened to be in Haage,Now they are free men and there is nothing you can do but complain on how everybody hates croats.Statue of Limitacion is 20 years unless there is issued warrant after a person you wish to prosecute,And in my best knowledge Croatia didt issue one after any muslim.The other day Milanovic said he dosent want to take Serbia to court,well my friend Serbia will take Croatia to it,and I don’t know how you can blame them for it. Your confusion and bitterness are becoming tedious braco p. When it comes to war crimes, crimes against humanity etc Statutes of Limitations do NOT apply – check out the UN Convention of Non-Applicability of Statues of Limitations… you confuse interpretation of evidence and opinion, pursuit of justice…with hatred, and that is so wrong. As to bringing matters to court we live in a free world, hopefully, and everyone has a right to bring matters to court if they have grounds to do so and then for the court to consider. Yep, that just about sums up the political play: Bosnian Croats bring in Croatian Croats to help and Mate Boban and the 6 Croats from Herceg-Bosna are involved in joint criminal enterprise in Bosnia and Herzegovina; Alija Izetbegovic and his leaders call in mujahedins from other countries and there is no joint criminal enterprise, there is no aggression. What a joke, I would laugh if this weren’t such a horrible example of utter bias and blatant disregard for victims. So Ina as you can see Harold failed to back his claim up with evidence of Izetbegovic calling them up,Dont you think you should step up and do it since you made same claim.Remember you both are talking about Izetbegovic. braco p – I cannot influence whether commentators will or will not reply, and I respect every commentator’s right to do as he or she sees fit. In my article I spoke of importing foreign troops by Alija Izetbegovic and I stand by that claim. because it is a fact. This fact comes alive particularly in September 1993 when Izetbegovic as Commander-in-chief of the Army of Bosnia and Herzegovina formally/officially integrated the mujahedins with that army as fighting units, as well as training domestic soldiers. No one forced him to. Mijahedins were there earlier than that but still even as “volunteers” fought with Bosnian Muslims. All that does not happen without the knowledge and stamp of approval by the commander-in-chief and especially not when mujahedins are in question as their presence there caused a great deal of disagreement and unrest and protest on international platforms. braco p – I failed at nothing! A cynic that you are even when staring at the truth in the face does not deserve to be dignified. I don’t need to prove anything. You try so hard to be smart but you’re not, you are in denial. braco p, while it’s entirely possible you ignore much of the evidence but: the proof is in the pudding! Ina I hope you don’t mind telling us where the pudding is,why you are hiding it,To say Alija called them up ,invited them and then provide Delic as pudding is beyond stupid. braco p – the narrowness of your vision is astounding, I can only interpret it as blindness to the obvious so we have this time allowed your offensive words. To enlighten you, in case it’s needed, the modern version of the meaning of saying The proof is in the pudding”, implies that there is a lot of evidence available via this blog, the ICTY publications and multitudes of other sources that I will not go through at this moment (as it’s not necessary) and you should take my word for it, or you could go through all of the evidence yourself to satisfy yourself, I am satisfied with the evidence that shows me the Commander-in-Chief of the Army was satisfied to have acquired the Mujahedins as his prize fighters. I didnot ask Ina for that recorded call Alija has made to this people or copy of his invitation becouse i know she doesnt have it ,so why dont you provide it to us to make this not to be a joke. https://www.youtube.com/watch?v=-cfvXeDgY6I Alija and Izetbegovic on the beastial war crime in Trusina (both knew but did nothing to prevent and or prosecute the savage war crime). I ask you for recorded tape or copy of invitation of Alija to prove your point ,to make this real thing and you give me Delic.Lets try again since you claim Izetbegovic called them up Can you provide recorded tape ,transcript of Alija Izetbegovic. Amir Pilipovic, this is how it went down: thousands of mujahedins arrived unannounced in Bosnia and Hercegovina at the same time intending to help someone fight, murder, plunder, decapitate etc and maybe have a few weeks holiday in the beautiful countryside there. Then Alija Izetbegovic said to them: well since you are already here and you are of Muslim religion like us, join me and my army – Allah shall reward you immensely! Harold my friend don’t stick your hand in honey jar anymore. Good question! Logical! And I say yes, of course it is aggression and of course it is padding the Muslim army with foreign mercenaries to kill and instill fear. Below is a link to an article worthy of reading. Amir Pilipovic, what kind of a human being are you? In this article Ina puts a totally legitimate question as to how the presence of foreign mujahedin forces in Bosnia and Herzegovina brought there to aid the Muslims should be interpreted in terms of international conflict and aggression and your comment can be interpreted as this: Tough luck, it’s all finished, too late, where were you before etc etc. Neither Ina nor most of us have control over political agenda in the ICTY and wider but we all have the absolute right to question and fight for justice. Her question is objective and logical and you, what do you do, you know it is but still have the urge to ridicule serious matters of justice. Oh by the way if it were up to me, but it’s not, I would send Mesic to Bosnia and Herzegovina permanently! He thinks he knows everything so maybe he can solve the problem of the Muslim push to control Bosnia as if others don’t exist there. He certainly isn’t about to go defending Bosnian Croats’ rights there, and these are being trampled upon and denied that it’s not funny any more. God willing a new “Mate Boban” will be born there to protect their rights and political visibility on B&H map. Mesic was and remains a KOS operative. Along with Manolic and Boljkovac (Perkovic is an alleged murdering degenerate, but I don’t think he remained in Belgrade’s service after the war began – he’s just trying to cya and get himself and his circle and friends rich in the process). Tudman knew the Yugoslav system and he knew that it was best to keep your friends close, and your enemies closer. That he kept them in the dark about everything that mattered is evident by Mesic’s reaction to Bljesak – he, like Manolic and Boljkovac, had no idea it was ever planned despite every platoon commander across Croatia knowing about it 6 months in advance. They all, like Paraga, called it “ethnic cleansing” and a part of the “agreed upon war” they lied about. Tudman neutralized them by hugging them (appointing them to positions of power), kept them in the dark, and built the military and intelligence apparatus up to the point where they would not be able to be a threat anymore, and threw them out to the street where they belong after their coup. That Mesic, Manolic and Boljkovac were and remain KOS operatives (Boljkovac taking “coming out of the closet” to a level higher than any jugovic by openly joining greater Serbian SDSS) is best evidenced by the fact that Tudman and his entire wartime cabinet and staff officers, and even low ranking infantrymen whose names were on rosters that were captured by Serb forces during the war indicted for “war crimes” and “genocide” but Manolic, Boljkovac and Mesic were not, with Stipe Mesic, the big talker who threatened to send Croatian sons to go die for Muslims (who are actively repressing and disenfranchizing Croats in B&H) to try and resettle the genocidal entity, frequently interviewed by BG media and frequently traveling there without any problems. It must be noted that the Mesic, Boljkovac and Manolic lie-ridden revisionism line is 99.9% the same as “big Croat” Dobroslav Paraga’s. Do the math. Yugos and Ustase on the same page on Tudman and HZHB. To all “big” Croats (no one who comments here that I see, so don’t take my use of “you” personally if you did not engage in subversive activities against Croatia) who repeated Mesic / Manolic / Boljkovac / Paraga mantras over the years and who were waiting to see Tudman, Susak, Praljak, Prlic et. al. get convicted by this kangaroo court (that declared the mass murdering scum Perisic, Simatovic and Stanisic “innocent”) because they were angry Tudman, the obvious student of Sun Tzu, knew his nation’s / military’s strengths and weaknesses and surgically wore down the enemy and vanquished him at minimal cost with the minimal means Croatia had, because he didn’t waste time trying to rehabilitate a certain failed regime’s rhetoric and suicidal policies and demographically suicidal border fantasies, because he won in the elections against self-proclaimed Ustasa and “general” Dobroslav Paraga, you all willingly aided and abetted Serbia in its misinformation war against Croatia and attempt to cloud historical facts and truth, to equate guilt via the media and via the ICTY with special help from the host nation of it and of course the Foreign Office which has via its slavishly pro-greater Serbian policies in the region shamed every democracy loving Briton out there. Now Croatia may have a cross to carry for the rest of its existence, let alone Croats in B&H. You all were just (and likely still are) traitors (both willing and gullible useful idiots). You are worse scum than Pupovac or Stanimirovic, they are greater Serbian nationalists, their hate and lies are expected – you (m)Ustase on the other hand aided and abetted them and the mujahadeen against your own nation and people because of ideological fetishism. I hope it was worth it for you people. therealamericro – thank you. I truly enjoy your comments, you illuminate issues very well. It’s so refreshing to see such keen and to the point commenting. I’m not descended from any ethnic group of former Yugoslavia but I have followed the complex processes and obstacles in transitioning from communism to democracy. It’s a road filled with hellish feats simply because hardened communists are set in stone with their ways. I follow this blog, it provides well argued issues that affect the whole nation and that is good, that’s the way it should be when it comes especially to pursuits of developing democracy in almost impossible circumstances as Croatia has had for most of the last twenty odd years. 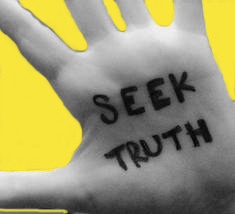 Let’s just hope truth and justice converge at the appeal trials. I think one thing you have missed Ina is that the international community does not see Bosnia and Herzegovina like you and other Croats do. Croats would look at BiH not as part of the Croat psyche, as part of the Croatian soul and its history. Croats have been in the lands that make up BiH for centuries regardless of that the country was called, who ruled it or in what form it took. The international community has a different view. BiH is a country that belongs to the Bosniaks, i.e. the Muslims. Croats and anyone else, regardless of how long they have been there for (and of course in the case of the Croats they were there before the Muslim ‘ethnicity’ began to take shape), are simply guests. My belief is that it doesn’t matter if Croats from Croatia were in BiH or if it was just Bosnian Croats there, the international community and hence the ICTY consider them to be the same thing and that is they are foreigners in BiH. Izetbegovic bringing in foreign fighters was considered okay to the international community because in their eyes he was the sole leader of the entire country and its entire people (i.e. Bosniaks). Felix, to the point. Thanks. It would educate you and expand your knowledge ,you would learn that name Bosniak,lilium bosnacium(six lilies on blue shield)came from Bosnian history not islam or Islamic countries.You would also learn that Otoman empire was there 500 years and was replaced by Austro-Hungarian ,and then you have ww1,ww22,There was not a croat nor a serb before 1850.even Hercegovina got its name by german word herceg(vojvoda),Don’t you think a croat would name it Banovina(ban)How about Bosanski Franjevci ,they don’t even today consider themselves croats. Hahahahahaha braco p – sorry but I just gotta laugh – you want the readers to think that there were no people there before the Ottoman invasion. Where did the 10th century Croatian King Tomislav come from before that, and others…can you tell the world how many Muslims or Islamic people lived in that territory before the Ottoman takeover and how many locals converted to muslim religion from christian then, o wise one… yes we are clear also that Bosnian language as a new language was introduced in the 1990’s because the Bosnian Muslims did not want either Croatian or Serbian language any more. That’s OK, people have those rights… but don’t go ripping roots out of people just because you like your version of history more than any other version. Tomcat(kinda a nice name)according to wiki King Tomislav was a ruler of todays cro and bosnia(DISPUTED)There was no muslims in Bosnia before turks nor I know a bosniam muslim who has ever made that claim.if you read carefully what I wrote in a post above you will be able to connect dots,In ‘POVELJA KULINA BANA FROM 1186″He wrote in bosancica and He calls Bosnia a state,Croats nor Serbs have a historic document older than PKB that proves there statehood,Also the oldest dictionary on Balcan is Bosnian.Now according to historic documents people in Bosnia from era Kulina bana to Turkish invasion was neither croat,serbian nor muslim but Bosniak and they had a church but not catholic nor Serbian but Bosnian,So it would be good for history buff like you to read,research Povelja Kulina Bana,Kotromanica,Oldest Dictionary on Balcan,Humicka Ploca,Bosanski Franjevci,Bosniak People,Lilium Bosniacum etc and then when you as I told you widen your history knowledge ,then you come back my friend and bring some proof to bit what I have just stated. (im not even going to mention dna research that has been done on balcans). Tomcat,according to dna research that has been done on balcans by 3 different parties Bosniaks are one of the oldest people in Europe and 100 %purest(which means they are the least mixed with others)Farther more not even croats in BiH have that much in common with croats in cro..So after that many serbs and croats have given up there history knowledge and it may be your time to do the same. That explains Croatian King Tomislav being crowned in Duvno, and HRVOJE HRVATINCIC. As it does all of the Croatian poets, presses, and organizations that preceded the Austro-Hungarian attempts to follow the Ottoman’s footsteps and create a separate “Bosnian” and or “Herzegovinian” entity for the domicle / autohochnous Croats in the imperial / colonial creation called Bosnia Herzegovina. This sort of discredited, historically pornographic, primitive hate speech is why B&H is a failing state, and why it will ultimately fail. Bosniak ultranationalists, Bosniak Islamists, and the mostly media elitist / mixed marriage Titoist AVNOJ BiH unitarists in Sarajevo have been since 1992 through to today treating B&H as Serbs did Yugoslavia under Milosevic in the late 1980s, like Serbs under Milosevic’s axis of anti-democratic hate (genocidal Chetnik fascism and genocidal Yugoslav Communism / Titoism), where they believe that they and they alone have a right to live there. Well, good luck when RS tries to break away. 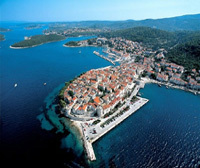 No free stays on Croatia’s coast, no more Croatian citizenship and no arms shipments for you. Operation Neretva 93’s debacle and obscene, pornographic military manpower losses in Pasalic’s / Halilovic’s war criminal jihad in the Neretva valley in 1993 obviously have not quelled certain megalomaniac, imperialist genocidal desires. Without Croatia, there would be and there will not be any B&H. Enjoy living in a welfare protectorate subsidized by the EU, UN and Saudi and Turkish Islamists. therealamericro,Since you like poetry so much I thought you may like this one from Krleza”SACUVAJ ME BOZE SRBSKOG JUNASTVA I HRVATSKE KULTURE”and if you want more from Hitler(about croats)or anybody else let me know. braco p you have no trouble linking 17th century to the 20th wher it comes to who said what about Croats, but you find it stupid to link Alija Izetbegovic with Hitler (both of 20th century)! Well Alija may not have been a Nazi collaborator but many many Bosnian Muslims were, and Alija’s declaration on Islamic state is no different even if it did come some 20 years after Hitler. Sorry but you deserve everything you get because you can’t see your own failings due to your need to show others’. Hrvoje Vucic Hrvatincic – the name and surname speak for themselves. To call him a “Bosniak” is obscene. Bosniak ultranationalists, Bosniak Islamofascists and Titoist Yugonostalgic AVNOJ BiH unitarists can repeat the same lies ad infinitum, but the fact remains that Bosnia was to Croatia what Bavaria was and is to Germany, or what Provence was and is to France, or what Northumberland was and is to England – the difference being a Croatian state was established in 626 (as a Duchy), and a full Kingdom in 925, before ANY of the above mentioned states. TwentyTwenty,Alija had many croats in his circles ,names like Siber,Knez(both generals)Dragan Vikic.Cegar(both in charge of MUP OF BiH)then he had Kljuic,Komsic,Zeljko Komsic etc,Many of them went to Haage and took a stand vs your rubbish arguments,now I know you will call them all JUDAS because they don’t support your garbage .When it comes to my failings ,well my friend Kordic,Tuti ,Rajic,Blaskic,Cerkez plus 6 in Haage are croats last time I checked,not to mention how haage has ruled in favor of BiH, ruled 4 times that Croatia was aggressor on Bosnia plus JCE ,don’t you think after reading this and getting it thru your head you should consider yourself failure .Since Ina is deleting comments I cant recommend any more poetry to you. braco p – the only deleted parts of your comments are those that do not comply with comment policy of this blog and would have been construed as uncalled for personal attacks. It is though quite sad in human rights terms that you keep writing about the ICTY case against 6 Croats of Herceg-Bosna as completed without giving the benefit to due process, i.e. that an appeal may find differently to trial judgment. That is the right of all and it is the public’s responsibility to note that at this stage. The article you are commenting on is about those 6 and not about cases that have been through the courts before. I suggest that if you have such strong feelings about various individual people you start your own blog and write about them there. therealamericro,Sad part of your argument is that you offer poetry as proof to your claim,Kulin Ban writes in his plaque of 1186 to people of Dubrovnik(which means Dubrovnik and surrounding area is not even Croatia)No proof of state,language etc,then you have Kotromanic in 14 century who does the same(I guess he also like Kulin forgot to call himself croat,forgot to mention cro state ,language etc)Now if you just learned history of Bosansky Franjevci you would realize that your history knowledge is pretty much based on cro lies and propaganda or if just study Humicka Ploca from 10 century you would come to same conclusion.Wiki says King Zvonimir was a ruler of todays Croatia and Bosnia(disputed),now insteed of being so silly you could find,offer your poetry to wiki and change it to undisputed,or you could offer us little proof. here we are all open to it,you remind me of serbs who provided proof of crimes in Haage vs Jovan Divjak,a tape in which Divjak is yelling don’t shoot,dont shoot,Even judges were like how in hell is this a proof of crime. Ina i say you are wrong ,you say braco p and me are wrong so lets go and let you be right ,Go after them ,get them behind bars ,But do me only one favor and let us know how far you went doing it,I bet my money on this,You will not even move anywhere you will be first rejected in croatia,they (Milanovic,Josipovic,Pusic)will tell you to leave it alone,its not your job.Second ICTY will tell you the same ,but anyways good luck to you. Amir Pilipovic, you seems like a weird person. Why would you even think that because I express an opinion I want to take people to court. But even if I did want to, it is clear to everyone except it seems you that I could not do it unless there were grounds I, or any other individual found applicable to be accepted by a court when it comes to them personally… etc etc. ICTY and Milanovic, Josipovic, Pusic would have no say in that because they would not be parties, and certainly individuals, or organisations can’t turn up at ICTY and file a lawsuit. ICTY is not the only court body potentially capable of dealing with such matters, there’ll be new ones and existing ones adapted., I’m sure. As I said, there are always ways and even ways we ourselves do not know about yet because they can be developed…pursuing justice knows no boundaries when it comes to processes it’s just that the process with its details needs to be suitable. And human beings are capable of discovering new ways and means all the time. So, if the public with good reason believes that justice has not been done in a certain matter then we can all bet our “bottom dollar” that someone, somewhere will come up with a way. That is, thankfully, how Holocaust victims have been receiving justice throughout decades, through different bodies or organisations established etc …that’s done because there are people living who will not stop until all justice is seen to have been done and has been done. Ina ,If its ok for us to mention Alija,Tudman ,Mesic,Halilovic then it should be ok to mention Ivo Lucic who was in charge of SIS or how we all like to call it UDBA,or Praljak who has written 18 books which are being used vs him and rest in Haage,But if you are not looking for the truth but fake satisfaction I understand that,and if you think it has long legs it will go long distance I support it.Why I post here and on many cro pages posts,is just simple and easy to understand you are a croat ,im Bosnian/bosniak you have your country and language ,I have mine ,so lets just keep it that way,lets drop this idea of croats owning everything mine using fake history,rubbish arguments etc. braco p your former comments that have been deleted wholly or in part mention other names of people whose works you call fiction and I somehow think that you are no expert at facts. Furthermore I would appreciate it if you did not compare my sentiments to yours, they do not seem nowhere close to each other. You do not seem to give people the right to comment or have opinion based on facts especially if that opinion is different to yours; so let’s leave it at that – the string of your comments reeks with hatred and ridicule of people, no wonder Croats in Bosnia sought protection from people like you seem to be. I have enjoyed reading your posts, Prof. Vukic. Unsurprisingly, yourself, along with many other “Herceg-Bosnia” advocates fail to understand the real truth regarding “Herceg-Bosna”. Let’s leave out Izetbegovic and the foreign Muslim brotherhood fighters for a second. Out of all honesty, Herceg-Bosna totally goes against my constitutional beliefs. My heart and political beliefs are for a NDH. Evidently, Herceg-Bosna was not ideal for the Croatian citizens residing in BiH for one specific reason. 190,000 Croatian’s resided in the HB territory; however, 700,000 Croatian’s resided in Western Bosnia. Mate Boban, the first president of Herceg Bosna had joined the League of Communists in 1958. Mate Boban graduated at a time when communist policy towards western Herzegovina was going through a rapid modification at both republican and federal levels. When the days of Jugoslavija were crumbling, Boban had started his own political party, the HDZ (Herzegovnian Democratic Union). However, throughout this time a more effective and recognized HDZ had incepted in been established in Sarajevo. Boban was quick on his feet to get to Sarajevo and became VP of HDZ BiH; next to the President, Stjepan Kljuic. Kljuic didn’t accept Tudmans requests for a Herceg Bosna, which was agreed upon in the Karadorevo meeting with Milosevic. Afterwards, Kljuic was ousted from the HDZ and was proclaimed as “the traitor of the Croatian’s in BiH”. Boban himself once said: “We are bound to the Serbs by brotherhood in Christ, but nothing at all binds us to the Muslims except the fact that for five centuries they violated our mothers and sisters”- Mate Boban, President. You are forgetting that the HOS (Croatian Defence Forces) were proclaimed as the legal army in Bosnia and Herzegovina; not the HVO, nor their leadership. The HOS was led by the most patriotic at heart Croatian, a man who always knew and supported Croatia from youth to his death(assassinated by the HVO ‘Convicts Battalion’) at 45. A man who was highly respected and well known throughout the Croatian Community of Canberra, Australia. Honorable General Blaz Kraljevic – Ero. The HOS had consisted of 60% Croatians and 40% Muslims. The war between the Muslims and Croatians had been advantageous for the Bosnian Serbs as they could stop fighting and focus their energy on building “Republika Srpska”. Has the HVO leadership listened to Blaz Kraljevic; Republika Srpska would have ceased to exist. After the Croatian Defence forces had successfully liberated Mostar, Capljina, Stolac, Ljubuski, Trebinje, etcetera. Mate Boban, the president of the self-proclaimed ‘Herceg-Bosna’ had called Kraljevic and 8 other party members for a meeting. Boban had proclaimed that the CDF must morph into HVO and to disarm, and expel the muslims within the units. He had also stated that he had agreed with Radovan Karadzic, the man who orchestrated the death of thousands of croatian and muslim civilians. That the Serbs will obtain(steal) 49% of the country and the Croatians will obtain(steal)20% of the country. Blaz Kraljevic had denied their selfish, egoistical, and unethical requests. Afterwards, Mate Boban had ordered the assassination of Blaz Kraljevic and 8 other Croatian political members of the Croatian Defence Forces. May 9th, 1993, the HVO had mounted an all out assault in Mostar, the self-proclaimed capital of Herceg-Bosna. Boban’s ultimate weapon of war was denying the UN aid vehicles into the devastated East Mostar. What was once an alliance has been broken and the most bloodiest part of the balkans wars was fought between the HVO and ARBIH. The HVO being the Croatian Defence Council(Herceg Bosna); the ARBIH(the Army of the Republic of Bosnia and Herzegovina). After Kraljevics death, the majority of the HOS soldiers morphed into the HVO; others morphed into the ARBIH. Blaz Kraljevic had wanted the HVO, HOS, ABiH, TO BiH to fight alongside like brothers for the sole purpose of eliminating Cetniks from BiH. Nevertheless, I am a patriotic Croat and I believe that if they had been able to be civilized and agree on matters; Croatians and Muslims would be in a much, much, much better situation than they are today. Rest in Peace Hon. General Blaz Kraljevic- Croatian Defense Forces. Patriotic heroes never die; they leave a legacy for future generations. B.Kraljevic#1, thank you on your comment I am however asking you to provide actual proof of what was decided in the mentioned Karadjodjevo meeting, not what someone said they heard happened. Also please let us know the link where we can verify that Mate Boban has in fact said what you quote. Should you not be able to provide that by Saturday 26 October your comment will be moderated. I must say I do not fail to understand the truth behind Herceg Bosna and one cannot leave Izetbegovic or Muslim brotherhood out of the picture at all.